What’s On profiles Al Qudra Lakes. 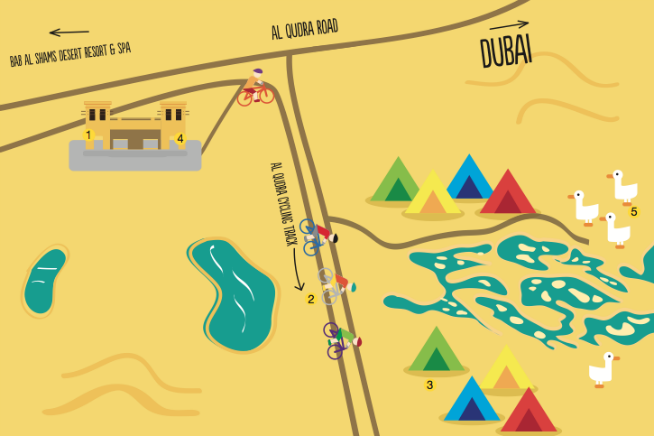 Find out what cafes, bikes shops and wildlife are in the area next to the Al Qudra cycling track. 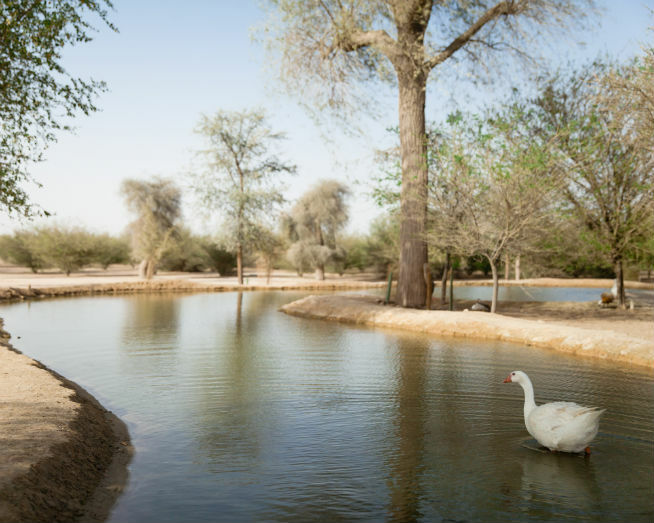 Next to the Al Qudra cycling track, a cluster of manmade lakes – home to hundreds of exotic birds – is waiting to be explored. Here’s a pick of the best bits. Whether you’re a cycling pro looking for expert advice or just want to hire a bike for a leisurely ride, you’ll be in safe hands at Trek. 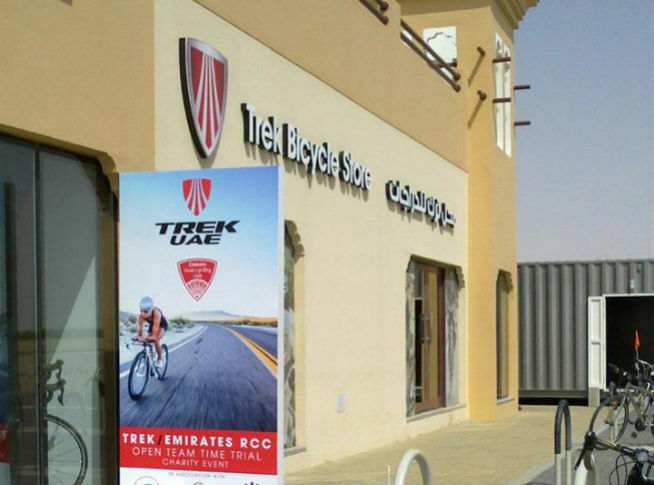 There’s a fully operational workshop to tend to speed bikes, or you can rent a roadster for a daily rate of Dhs105. If you fancy an off-road adventure, try one of the sand bikes instead. 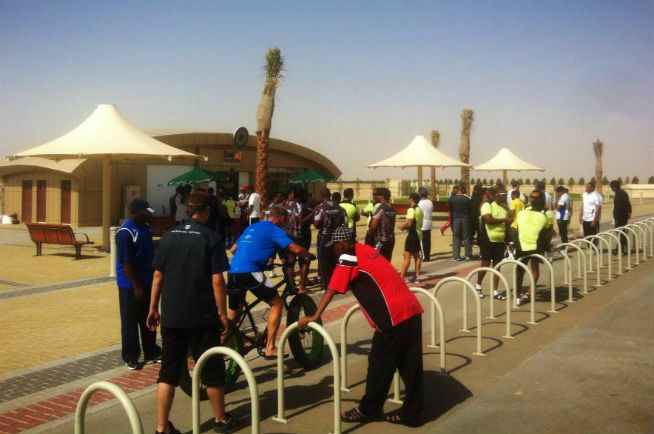 Dubai doubters who often bemoan the lack of outdoor activities have obviously never been to the starting line of Al Qudra bike track on a Friday morning. One of the world’s largest designated cycle tracks, the 84km trail loops through the desert and attracts amateurs and triathletes alike. Cycle Safe organises rides here on Friday mornings for beginners and advanced cyclists. Head south – away from the lakes – and you’ll find dozens of perfect desert camping spots accessible to non-4WDs owners. Bad for: Adventure seekers. This is just a pleasant day/night out; nothing too serious. This charming café serves coffee, organic smoothies and Arabic snacks. You can also pick up firewood and other camping supplies here. After a huge renovation project, Al Qudra’s manmade lakes are now visited by over 130 species of birds including starlings, eagles, falcons and flamingoes. Bring your binoculars – and your barbecue – for a unique picnic by this desert oasis.